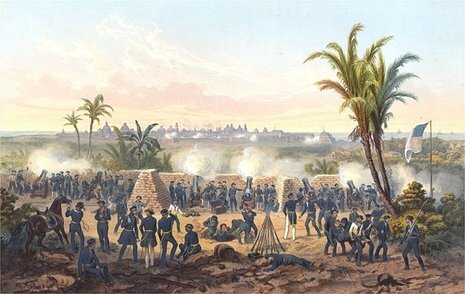 Although the United States declared war against Mexico on May 13, 1846, it took almost two months (until the middle of June, 1846) for definite word of war to get to California. American consul Thomas O. Larkin, stationed in Monterey, on hearing rumors of war tried to keep peace between the States and the small Mexican military garrison commanded by José Castro. 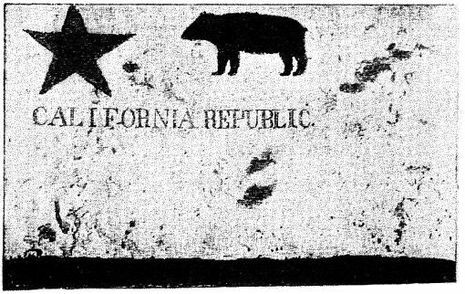 U.S. Army captain John C. Frémont, with about sixty well-armed men, had entered California in December, 1845, and was marching slowly to Oregon when he received word that war between Mexico and the U.S. was imminent and so began his chapter of the war, the "Bear Flag Revolt". After the declaration of war, U.S. forces invaded Mexican territory on two main fronts. The U.S. war department sent a cavalry force under Stephen W. Kearny to invade western Mexico from Fort Leavenworth, reinforced by a Pacific fleet under John D. Sloat. This was done primarily because of concerns that Britain might also attempt to occupy the area. Two more forces, one under John E. Wool and the other under Taylor, were ordered to occupy Mexico as far south as the city of Monterrey.